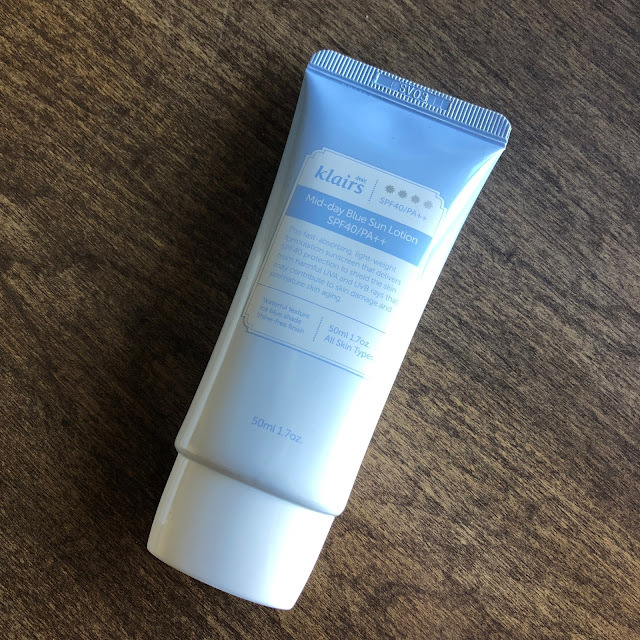 Dear, Klairs is a brand that focuses on sensitive skin types with a wide range of products that cover basically any step in a skincare routine. 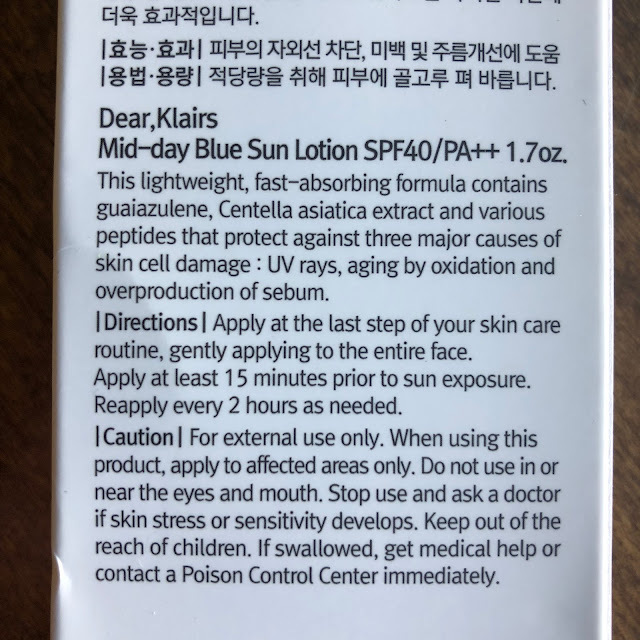 This sunscreen contains guaiazulene, a component of chamomile oil, that gives it a light blue color while calming redness and irritation. I apply a nickel sized glob to my face, then apply more to my ears and neck as needed. 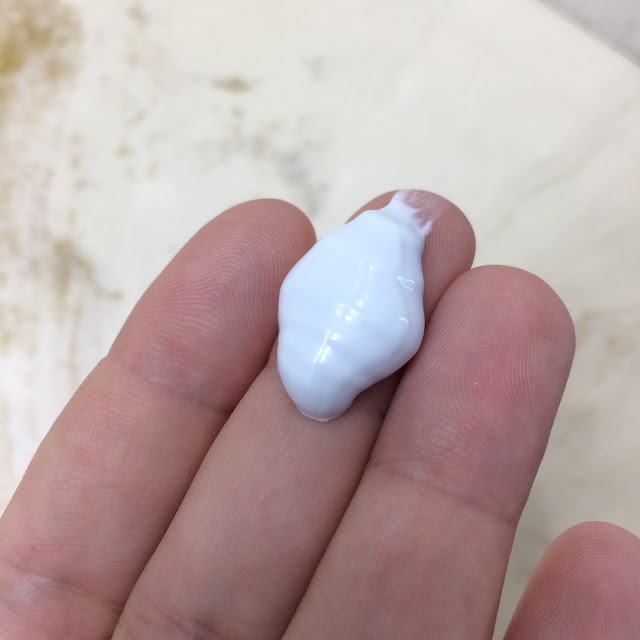 I pat the sunscreen into my skin after applying it, to help ensure that I don't rub the sunscreen away. 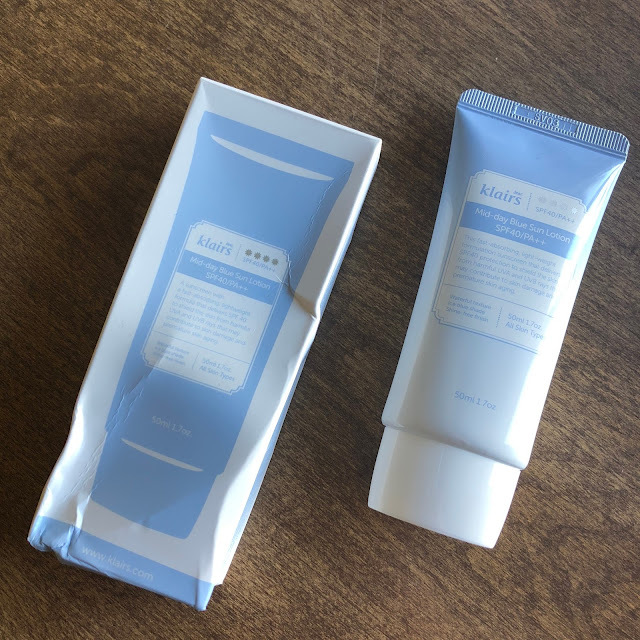 This sunscreen comes housed in an opaque plastic tube that holds 50mL of product. 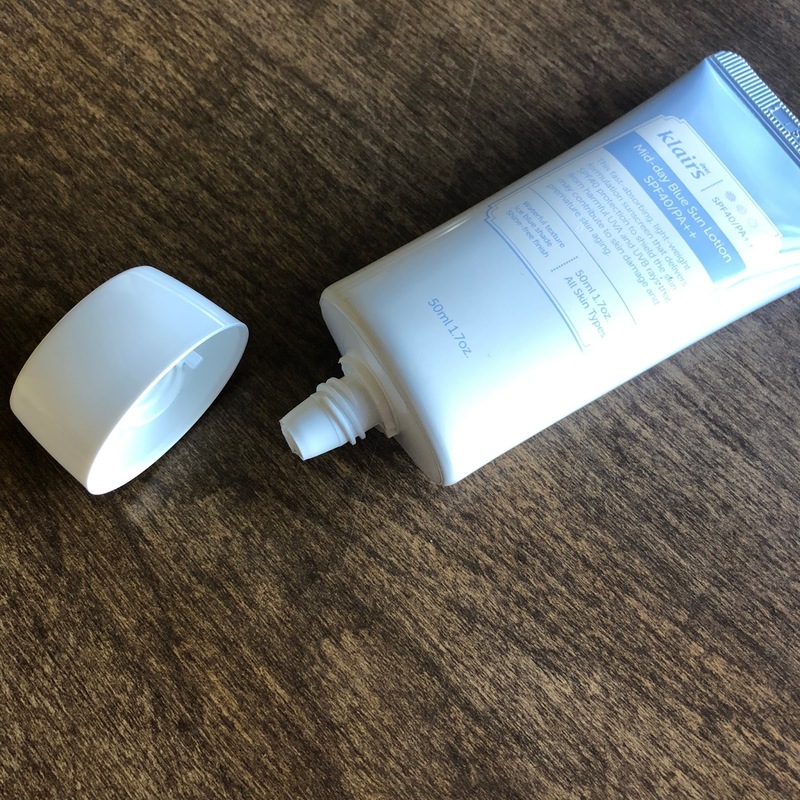 The tube is crimped at one end along with the expiration date of the sunscreen, and the other end has a twist-off cap with a nozzle underneath for easy dispensing and safe travel. 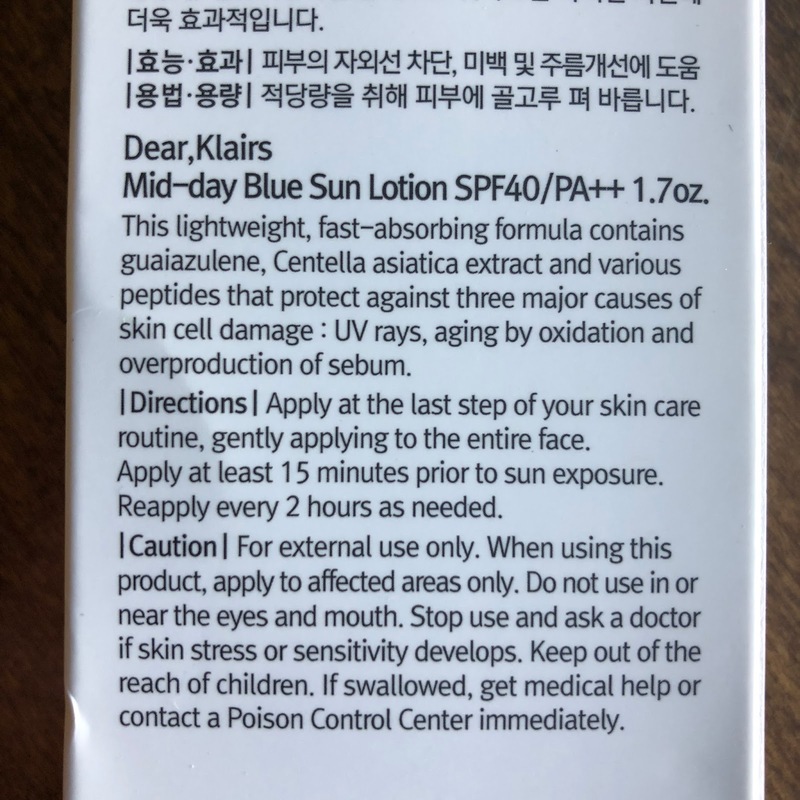 The sunscreen has a heavy lavendar and floral scent to it that I personally find overbearing, but it does thankfully wear down after a while. It has a faint blue tint to it, as I mentioned earlier, which I find pretty. The texture of the sunscreen is creamy, and it feels like it's easy to apply. It does leave an awful white-cast though. And despite the creamy texture, it never fully absorbs into my skin. 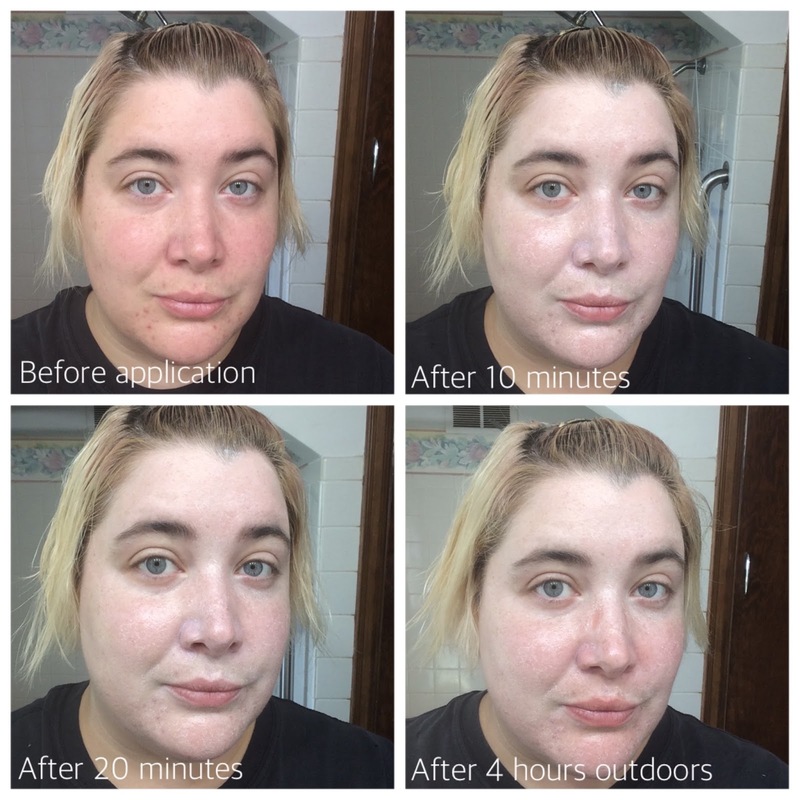 I tested this sunscreen out several times over different seasons, and my results have been consistent. Whether my skin is oily or dry, the sunscreen doesn't fully absorb and leaves a kind of film on top of my skin. Even without visible dry patches, this sunscreen manages to find skin to cling to and emphasize. While it does a great job at protecting from the suns' harmful rays, I feel so uncomfortable wearing it in public that I can't continue to use it. I received mine from 0.8L for review purposes, but you can find it at the following retailers to see if it works better for you! New reader here! You mention you are still looking for the right sunscreen and I am too. Of those you have tried, which has been your favorite so far? I've been working through a tube of Biore Watery Essence and I absolutely love how it feels when applied but I think I might be sensitive to the alcohol. 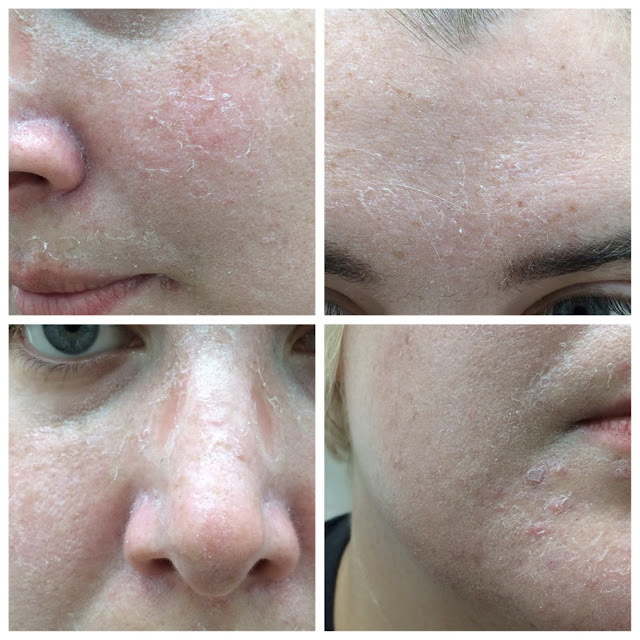 After I used it for a few days, my skin got really irritated. Now I only apply it when I know I really need the SPF, but haven't been wearing any SPF on a daily basis. I think my favorite right now would have to be the Canmake Mermaid Skin Gel UV. It's lightweight, doesn't irritate my skin, and it's alcohol free!